Sarasota is the place for family relaxation and adventure, while getting away from it all at a beautiful Gulf Coast retreat. Do nothing at all or explore the town's historical landmarks and the nature that surrounds it. At Sarasota vacation rentals, you are close to it all and can feel right at home. The amenities maximize the comfort and pleasure of adults and children who vacation in style. Let the sun and the sand take your worries away at Sarasota. A sunny day is like nowhere else here and everyone is guaranteed to take the time to let their mind run free. Also satisfy your taste for the arts at the Ringling Museum of Art, the symphony orchestra, or theaters located in town. Peruse the galleries and shops at Towles Court art district located downtown, or shop on Main Street, where great music and tasty cuisine can be enjoyed as well. Head back to Sarasota rentals for a home-cooked healthy meal if you want. The amenities at these roomy spaces cannot be beat, and you'll be glad to have chosen such a convenient alternative to a hotel or motel room in the area. Nature lovers can get their fill of exploration at Myakka River State Park, where miles and miles of hiking trails make for the ultimate adventure. Take an airboat tour or climb a tower above the woods to experience nature from a range of perspectives. Tropical wildlife can be viewed first hand at Sarasota Jungle Gardens. The outdoor adventure doesn't have to stop with seeing nature and wildlife; golfers can take in some time at quite a few golf courses nearby. 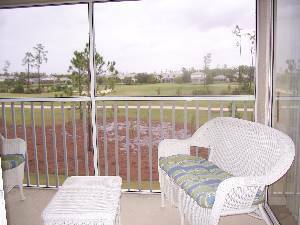 Also, the fun never stops at Sarasota condo rentals, because you can invite friends along and make full use of the extra space. Take advantage of the quiet too and read a book or take an afternoon nap whenever you please. You may never want to leave Sarasota during your stay, but a family drive can take everyone through the small towns that dot the region. Experience the lifestyle of quiet, sleepy towns that is far different from the big city, and the many rural spots will bring something extra to the relaxing vacation vibe. Whatever you choose to do, the convenience of Sarasota VRBO homes cannot be beat, especially when you compare the limited options with motel and hotel rooms. Making plans is as simple as contacting an owner of Sarasota rentals, so you can find something that will enable the whole family to have a fantastic vacation. A memorable, restful, and adventurous vacation can be had by families with kids at Sarasota vacation rentals. You'll feel like you have a lovely home where you can relax and set out on adventures to remember. Meet the needs of the family vacation budget while making Sarasota condo rentals the center of the amazing times you can have on the west coast of Florida. Interested in More Sarasota, Florida ? Check out nearby Anna Maria Island , Bradenton , Bradenton Beach , Holmes Beach , Siesta Key , Venice .